Back-to-back pregnancies: What happens to my maternity leave? California Maternity Leave: What am I eligible for? Sleep training Baby E early on was seriously the best thing that my husband and I did. Baby E had terrible colic, so she hardly slept from birth to about 12 weeks. I don’t know who was more tired – us or Baby E? 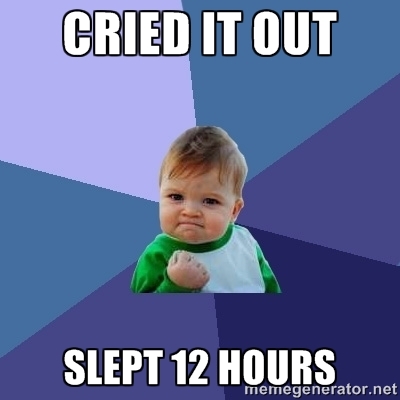 I’m tempted to say it was my husband and I, but seeing how well Baby E responded to sleep training makes me think she was actually the more tired one. At around 10 weeks we decided to give sleep training a try. Before diving in, we got the green light from the pediatrician to make sure that Baby E was physically, emotionally and developmentally ready for it. Doctor said go for it, so off we went! But, wait; which method? Who knew there were so many schools of thought on how to get your kid to sleep. Don’t they just…sleep? I guess not; apparently, falling asleep is a learned skill. After comparing notes with a lot of my “mom friends,” we decided to go all in with the “Cry It Out” (CIO) approach. With the CIO method, you let babies cry for a specified period of time before offering comfort so they can learn to self-soothe to sleep. Slightly harsh; yes, but seemed effective. We figured we weren’t getting much sleep anyway, so what was there to lose! Step 1: Put baby down in the crib when he/she is tired, but still awake. This is important since the ultimate goal is to train them to put themselves to sleep. Don’t rock your baby to sleep? That’s crazy talk, I know. I recall veteran moms telling me that’s what they did and I just assumed they were either lying or had some super baby. But, ladies and gentlemen, it can be done! I found that Baby E had a “sweet spot” of tiredness (too awake and she’d want to play, but too tired and she got super fussy) where if I hit it just right it made a huge difference. After studying Baby E’s tired cues for a couple of days (and through trial and error), we concluded that her “sweet spot” was after three yawns and eye rubbing. Every baby is different and have their own unique cues, so keep a look out for what your little one does. Plus, sleepy babies are sooo cute! Step 2: Give your babe a few gentle pats on the tummy (or whatever your baby finds most comforting), leave the room, and set the timer for 5 minutes. Baby E would have already started crying at this point, but that’s okay — be strong and keep on walkin’! Step 3: Wait out the full 5 minutes before going back into the room to reassure the baby. It’s hard, but it’s important to the process that you don’t pick up your baby when soothing, even if they are crying. I also found that not making eye contact helped. Use a soft voice and gentle patting/stroking until they calm down. Then walk away and reset the timer for another 5 minutes. Step 4: Repeat until your little bambino has hitched a ride into Dreamville! How many times you want to repeat the cycle is totally up to you and your comfort level. Consistency is the critical factor here so you have to find the cadence that’s most comfortable for you and your little one. With Baby E, it usually took about four to five rounds before she fell asleep. If she was crying inconsolably we decided that there wasn’t much “learning” going on, so we’d pick her up to soothe at that point. Step 5: If your baby wakes up mid-nap or sleep, repeat the entire process. All babies are different and have totally unique dispositions, but I will say that I was quite impressed with how fast sleep training worked. I’ve heard this from other parents as well. 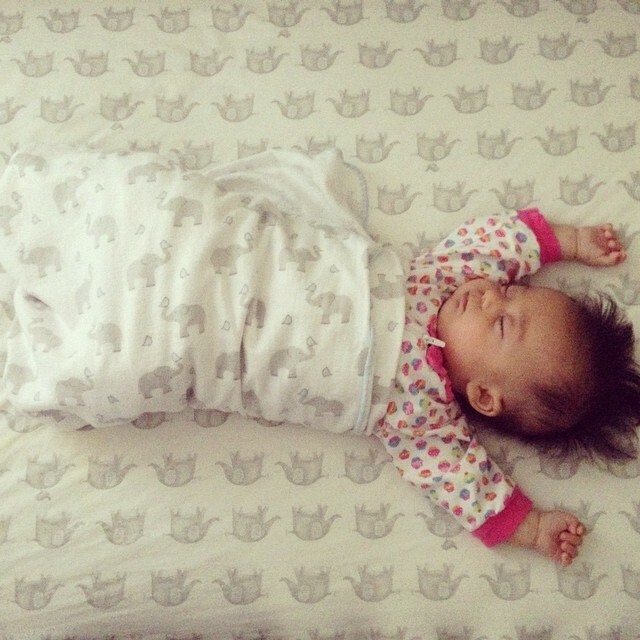 It took about a week or so until we saw a major difference in Baby E’s sleeping abilities. What went from endless rocking and gently putting her down like a live grenade, went to simply plopping her down with minimal fussing/crying plopping before she was fast asleep. Hallelujah! Rather than increase the wait times like traditional methods suggested, we would reset the clock every time Baby E stopped crying for more than 30 seconds. We did this as we got more comfortable with CIO and to help Baby E push healthy comfort boundaries. Start with naps as opposed to bedtime. There’s just something less daunting about a baby wailing during the day versus night time. Also, babies who get efficient naps during the day sleep better at night, so it makes sense to start at the source, if you will. Also, there are less neighbors to disturb during the day. Put a lovie or blanket that smells like mom (or the primary caretaker) in the crib. Keep the item of out of reach from baby for safety reasons. I slept with her lovie for a couple of days and hung it in the corner of the crib where she could not reach. Sounds a bit hokey, but babies have incredible sense of smell and a familiar scent will be calming for them. Sleep training can be like the monkey on your back — something you want/have to do, but just don’t want to do it. It’s not easy, it’s an emotional process, and it’s just not a fun activity to do with your baby. Look at sleep training like a band-aid you just need to rip off. Once you do, it’s like the gift that keeps on giving!